Owner Carley Seale is taking her shop into bigger digs on Henderson Avenue. D: What made you decide to move? CS: I wasn’t planning on moving the store at all, but when I saw that Needless Necessities was closing, my wheels started turning. A couple of sleepless nights later, it became crystal clear that it was a perfect space for The Gypsy Wagon. The space is quirky, which we must have, or it just wouldn’t be right. It’s more than double our current space. I am so excited to have real dressing rooms! And wall space to fill! D: What will be different about your merchandise in the new store? 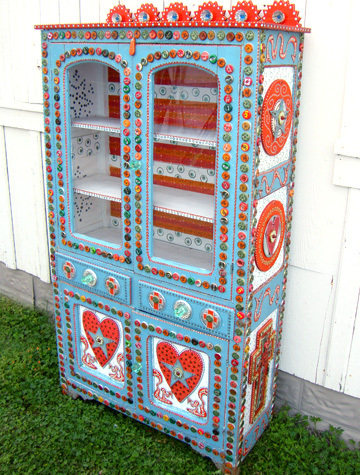 CS: You’ll find more furniture, like an entire antique Hungarian kitchen from the late 1800s. The furniture and home accessories will be a mix of vintage and new and will keep in line with our philosophy that your home should be functional and fun, not serious and stuffy. D: Your current space is charming. How do you plan to replicate that in the new building? CS: That is the fun part. The finish-out will be similar to our current store. Luckily, the new space has lots of nooks and crannies that give it charm. And the floors are really crooked in the new space, so I am pretty sure everyone will get a familiar feeling. D: What’s the most exciting part about the move for you? CS: I not only get to expand, I get to stay on Henderson Avenue! This area is so hip, and The Gypsy Wagon will be at the hub of it all. I have perpetual butterflies thinking about all the details we must tackle to pull this off. We’ll have to take everything up a notch. Make that a lot of notches.